What is Life Coaching anyway? Why you NEED a Life Coach! What is LIFE COACHING anyway??? This is a question I get A LOT. In fact, if you had asked me that three years ago I couldn’t have told you either. But once I learned and experienced Life Coaching my world was NEVER the same again…and your’s won’t be either. 2015 I remember exactly where I was when I was first introduced to this whole Life Coaching thing. My daughter was taking ballet in Sacramento and I had hours to kill while waiting for to be done. A good friend of mine had been trying to get me to listen to podcasts for a while and I was thinking, “what the heck is podcast? !” But she urged me on, “No, no. You’ll love it. I listen to them ALL.THE.TIME. Download the app and try it out.” So, having hours to myself I downloaded the app and started looking for something that I might be interested in. I typed in Motherhood, homeschooling, LDS, Self-help, etc. Topics that I loved and things I would find interesting. First thing that popped up was Jody Moore’s podcast, Bold New Mom. I clicked on her first episode where she introduces herself as a Life Coach…What. Is. That?????? I tell you what, I was skeptical. The name sounded crazy to me. But after 5 minutes of listening to her I was reeled in and hooked FOREVER. So, let me tell YOU what on earth a LIFE COACH is and WHY YOU NEED ONE!!!!!!!! In a nutshell, A Life Coach works with “healthy minded” individuals – (by healthy I mean, doesn’t need medical attention or have a medically diagnosed mental disorder). They “coach” people through everyday issues and help them sift through long held limiting beliefs or other stumbling blocks keeping them from the future they desire. This woman hired a Life Coach and not only was able to lose the LONG desired weight but she’s easily able to maintain it. 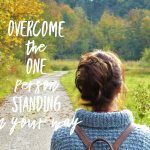 SHE was holding herself back by believing her limiting beliefs and then with everything she tried and struggled with her brain would ALWAYS go back to the belief that every pound she lost it was for sure going to come back because it always had…until she hired a Life Coach to help her through her stumbling blocks and create a new, long standing path to a healthy body. A Life Coach is someone that can OBSERVE and listen to how you are taking action or not taking action and help you become aware of some things standing in your way. Ex: Christina had always felt like she was a victim in someway. She struggled in her relationship with her in-laws. She felt that they strongly disliked her because of the way they spoke to her or about her. She complained because it’s not fair. She didn’t do anything. She doesn’t know WHY they don’t like her and why they’re so critical of her all the time. Christina hired a Life Coach who helped her see how she was showing up around them and how distant and closed off she was. She was in essence “mirroring” their behaviors and emotions. They don’t like her – so she’s inadvertently showing up not liking them. But deep down, she wanted so badly to be okay and not feel criticized or judged by them. Through Life Coaching she was able to see HOW she was acting, thinking, and showing up. She deep down felt insecure and anxious and as a result she’d show up completely withdrawn. She wanted love so badly but showed up utterly unlovable around them. 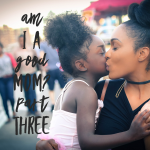 She was able to start seeing how much her thoughts and actions added to the circumstance and when she changed those behaviors it allowed her to see her in-laws in a new light and she was able to get to the point where she learned to LOVE and appreciate them and ultimately feel better which was her goal. If you think about it this way: If you want to learn how to play baseball you’re going to want to hire a coach to teach you. Your coach is going to watch you and observe and say, “you know, right now this is how you’re holding the bat and it’s causing foul balls each time. Try positioning your hands like this and see what happens” – so you do and you’re able to hit one right passed second base. A coach is going to teach you skills and give you tools to accomplish YOUR DESIRED goal and outcome. They’re able to see and listen to you from a unique stand point where you’re too deeply involved and invested to see. They help you see what they see. They help you on the path you really want to go and then TAKE YOUR LIFE TO THE NEXT LEVEL. A Life Coach takes a GOOD person and helps them become GREAT. I work with clients that are struggling with EVERYDAY problems and issues. This could be learning how NOT to yell at your kids. This could be learning to lose weight. This could be how to grow their income and become financially secure. To helping a teen through their High School journey. Bridging the gap between a husband and wife or parent and child/teen. I work with clients that struggle with change, or need help managing their anxiety. I help clients that struggle with relationships: friendships, extended family relationships, dealing with difficult people at work or just out in life. EVERYONE has trials and struggles with things. EVERYONE. A Life Coach will always be able to help you though those struggles so you can overcome them so you’re not remaining stuck and unable to move on and become great. I didn’t KNOW I NEEDED a Life Coach until I accidentally stumbled upon one and it literally TRANSFORMED my life and that of my family as well. It has taken a happy and GOOD life to a REALLY HAPPY and REALLY GREAT life…and like all of us…I’m still growing and progressing and becoming every single day but now I have the tools to get out of the pit holes that life tends to bring. I know how to manage my mind so I can overcome my limiting beliefs. Every single person I work with is doing FINE in their lives. BUT like most of us, we don’t want just fine, we want GREAT! We all struggle but most of us are not going to see a therapist because they are or think they should be capable of overcoming it on their own. Sometimes though, these feelings are so overwhelming and can hurt so deeply that they just don’t even know where to begin. Other times it’s things like: dealing with kids and a constant madhouse that they just don’t know how to manage that or others can’t seem to find or make any friends and it’s lonely as a teen and as an adult…it seems embarrassing until you learn how to work through that and overcome it. Maybe it’s struggles at work, church, etc. The people I work with are highly functioning and are doing fine. They just need someone to help them look through their life and see what’s going on to give them tools and options when they can’t see where to go. Life Coaching is designed to teach you and help you though your challenges and then give you all the tools necessary so YOU can move on and apply these tools to every area of your life. 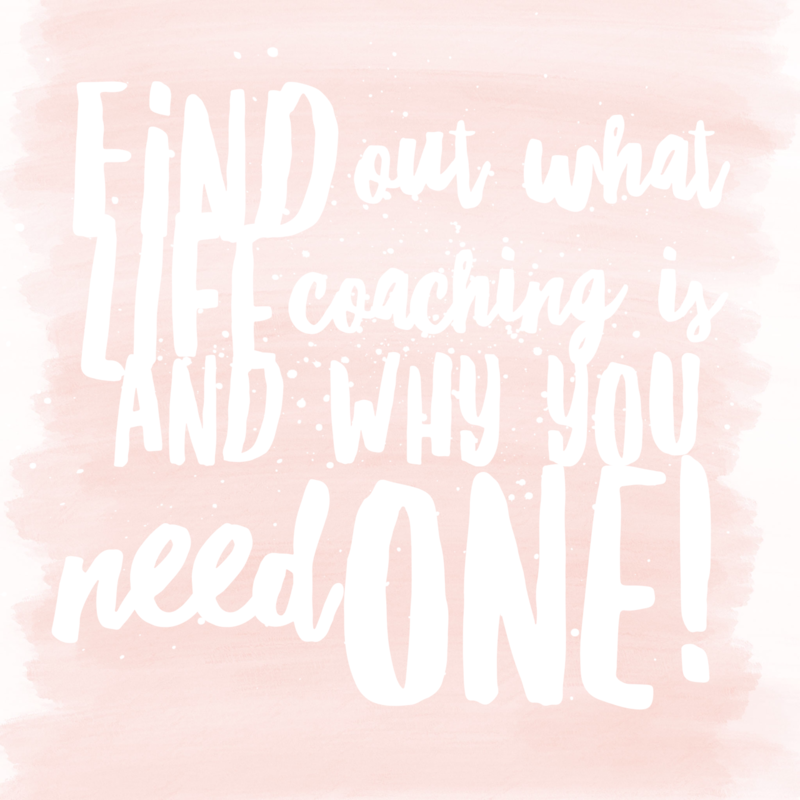 What I love so much about Life Coaching (one of the many) is that we teach you how to coach yourself so that you are not DEPENDENT on anyone else. You’ll know how to overcome your road blocks. You’ll see what you’re doing in your life that causing that result. You’ll be able to start creating the life you’ve only dreamed of and then be able to add more value to your family and to the world. This is EMPOWERING and LIFE CHANGING work. You will see your life as you NEVER have before. You will learn how to develop ROCK SOLID confidence…and as a result you will never be the same (in a great way) after you’ve been coached. If you find that you are blown away at the amount of progress you made in that 30 minute session…which you will…then I offer a 6 week program that will teach you the TOOLS you need to start living the life you want. And…did I mention that I’m offering this program right now to 10 people for FREE??? The drawing for this in January 28th – only THREE DAYS LEFT for you to jump on this incredible opportunity. Aren’t you ready to rock your goals? Overcome those stumbling blocks that have been holding you back for awhile and start living a truly GREAT and empowered life??? Subscribe to be eligible for FREE COACHING!!! I’m offering my 6 week program for FREE – saving you hundreds of dollars!!! I’m only accepting 10 participants, 5 for session one in February and 5 for session two in Mid March. If you’re interested let me know ASAP – 3 days left!!! So, Subscribe at the top of the home page and then shoot over a note telling me you’re interested so I can put your name into the pot.